The brake system includes K2 90 Radical brake system and the brake pad fixing bolt. 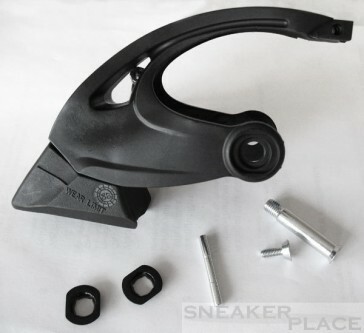 This spare part is suitable for the K2 Radical 90 inline skate. On the brake frame the number 21 is noted. Figure corresponds to a K2 Radical FlexBase brake system. Here you will be well informed of your skate-Srevice.